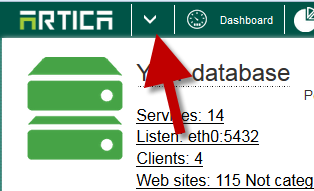 The categories service can be installed and enabled on an Artica as Statistics Appliance. 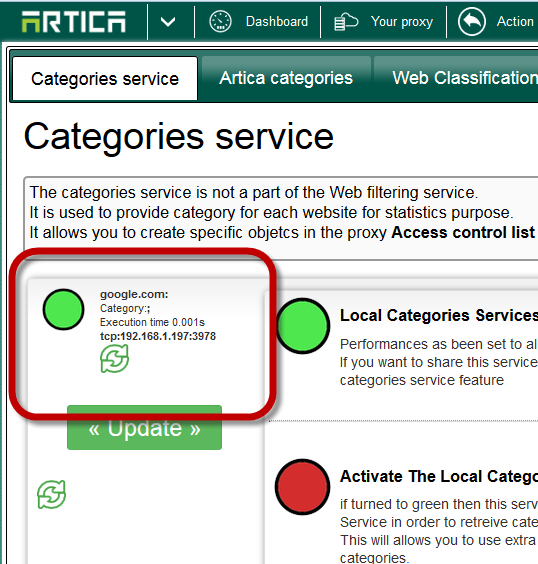 To use this, you must ensure that your categories service can listen TCP/IP instead an unix socket ( Artica v2.35.020313 or above is able to automatically install the package if not installed ). The categories service consume about 2.5GB of memory on the system, check that you have enough memory to enable it. 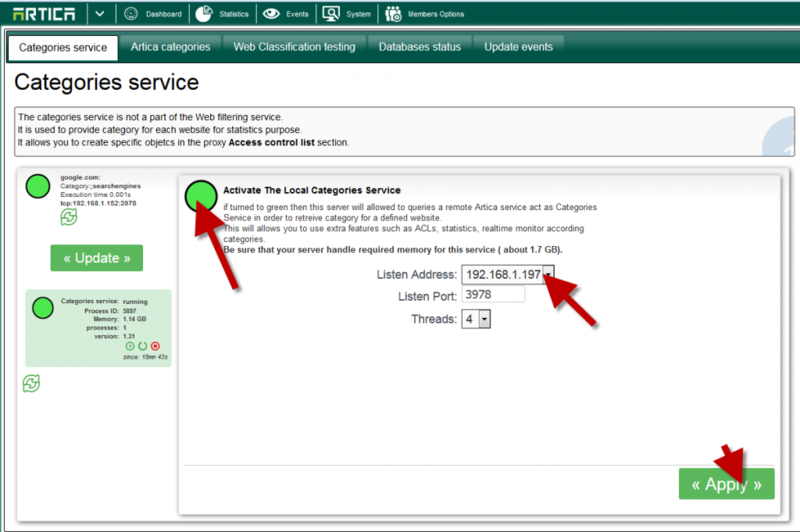 Install the Categories Service manually. Click on the arrow near the logo. 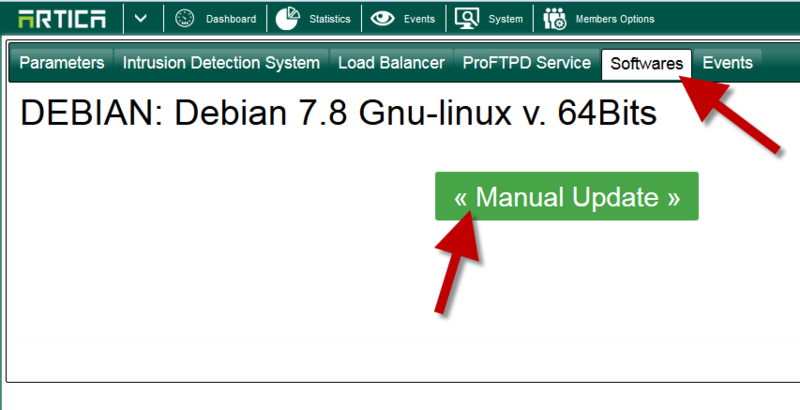 Choose Softwares tab and click on the Manual update button. Upload the ufdbcat-x64-debian7-1.31.tar.gz downloaded package. On the top menu, choose Statistics button. Choose the Listen interface and click on Apply button.